There has been a lot of whaling and gnashing of teeth by Republicans over the President's executive order last week regarding immigration policy. Cries of "amnesty!" have been flying around to get the conservative base riled up, and by all accounts it's working. Proposed responses from Republicans range from shutting down the government, stopping implementation of the executive order through budget restrictions, to the ever present threat of legal action up to and including threats of impeachment. The real question is would any of those responses work without giving the President exactly what he wants - relevance. Make no mistake about it, the last round if elections dealt a damaging blow to President Obama and the Democratic Party across the board. There is now little-to-no chance the Democrats regain the US House until after the next Census, and even that would depend on a wave election in 2020 comparable to the Tea Party wave of 2010 to give Democrats more control over redistricting. The US Senate is not that much better for the Democrats either. This article from AmericanThinker.com lays it out. Basically, with the Conservative Democrat being a dying breed and with there being 25 dependably Red states and only 11 dependably Blue states, the polarization of the electorate and the design of the Senate will conspire against the Democrats in the future. With that type of reality staring down on the President and his party, what is the best thing for him to do to remain relevant? Drag the Republicans into a nasty fight over a hot button issue like immigration and hope they overreach. If Republicans want to avoid that and actually accomplish something, the path forward is relatively simple. However, it would require the type of political courage the Republican Party leadership has not shown in the past, and there is probably little reason to expect it now. Here's the simple two step plan. 1. Each and every Republican candidate for President in 2016 needs to clearly state that on day one of their presidency, the executive order signed by Obama will be repealed and enforcement will begin. 2. Rather than attempting to attack the legality of the President's executive order, Republicans should accept the legal underpinnings of it and then use that same logic to force its undoing. Here is why this would work. It is doable, and it is doable quickly. Each Republican presidential candidate can unequivocally state their intentions to undo President Obama's executive order, and the mere possibility of a Republican win in 2016 which might undo any programs that start from Obama's order would certainly slow down its implementation and acceptance. The new Congress could quickly pass a bill that would go to the heart of the legal argument behind Obama's executive order. All they have to do is pass a clean budget bill using reconciliation in the Senate if necessary to double the funding/capacity of the existing immigration enforcement system. The logic behin the President's order is this. As long as the immigration enforcement machinery is operating at capacity, the President is within his authority to prioritize who will be pursued for deportation. The system currently can only process about 400,000 deportations a year. The administration's stance is that they have been hitting that number for the past few years, so now they are simply defining a large category of people they won't pursue. This is legal as long as the system continues to operate at capacity. Republicans should fund doubling the system's capacity in a clean budget bill. Send it to President Obama and let him veto it if he wants. At the minimum it exposes his action for what it really is - a backdoor amnesty. It also would shoot a giant hole in the legal basis for his action that might undo it. If he signs it, the Republicans would get what they "say" they have wanted all along - tougher enforcement. But that takes us back to the political courage issue with Republican leadership. No serious person could believe they truly want tougher immigration enforcement. They have had chances before and done nothing. There is simply to much campaign money flowing from organizations like the US Chamber of Commerce which enjoys the cheap labor lax immigration enforcement allows to believe Republican leadership would ever bite the hand that feeds it. And that may actually be the biggest problem with ever achieving true and effective immigration reform. 1. Legislative permission to use Public-Private Partnerships (P3s) to finance transit projects. 2. Permission to access certain Federal loan programs for transit projects. 3. Repeal of the sunset provision for existing Special Assessment District (SAD) legislation. These items had all been presented as critical to financing future transit line development including the stalled Red Line commuter rail project. We raised concerns about why the MTC was pushing this along so quickly - asking local commissioners to approve supporting resolutions by it's November 19th meeting. Of particular concern was the idea of using P3s as a mechanism to finance rail development. With all of the controversy around the P3 project for the I77 HOT Lanes, it seemed this was being rushed along too fast for the public interest. Then something unusual happened at Davidson's board meeting on Tuesday November 11th when the resolution was to be discussed. Two of the three critical items disappeared - the P3 and Federal loan program requests had been removed. Only the request to remove the SAD sunset provision remained. Davidson's Board unanimously approved the slimmed down resolution with little debate. On Monday of this week the Huntersville and Cornelius Boards passed the same resolution 4-2 and 4-1 respectively. "Why was the resolution trimmed to just one item? Specifically, how did the controversial P3 provision disappear?" "With respect to the public private partnership (P3) position, legislation enacted in the 2013 regular session, SL 2013-401 established a statutory framework for local governments to enter into P3 arrangements. Initially, CATS staff believed the 2013-401 framework was of limited use in implementing 2030 Plan projects and we started considering a new framework. Over time, staff understanding of what types of P3 arrangements would be utilized for 2030 Plan projects evolved to the point where it is believed SL 2013-401 will provide a sufficient framework. For this reason, the proposed public-private partnership position may be removed from the agenda." In response to an emailed question regarding this change, Flowers said “outside counsel recently confirmed that 2013-401 can be used for any capital project, including transit infrastructure projects”. Flowers confirmed the outside counsel was law firm Parker Poe. Parker Poe has a long history of connections to Charlotte transportation issues. One of its partners, Anthony Fox (no relation to US Transportation Secretary and former Charlotte Mayor Anthony Foxx) served on Charlotte's "Committee of 21" regarding local road needs. He was also appointed by Charlotte to the proposed new Charlotte Douglas Airport commission. Parker Poe is also the same firm where former long-time Charlotte City Attorney, Mac McCarley, went after leaving his job with the City. Prior to receiving input from outside attorneys, there was good reason for CATS staff to not think this session law was applicable to building rail lines. SL 2013-401 was spawned by House Bill H857. When H857 was written, it was not intended to create law to be applied for transportation projects. This was confirmed by Rep. DeanArp (R-Union) who was one of H857's primary sponsors in the General Assembly. In fact, one of the “whereas” clauses in H857 specifically states it does not impact projects administered by NCDOT, and NCDOT helps administer rail projects where State money is involved. However, the whereas clauses of a bill only describe the intent of the bill. They do not become part of the law itself. H857 was intended for public buildings, not transportation infrastructure. Somewhat ironically, according to Rep Arp it was meant to bring more transparency into the use of P3s, but he agreed in this case is sounded like the law generated from his bill was being used beyond its original intent. In this case, the legal eagles in CATS’s employ seem to be sacrificing the spirit of the law by following the letter of the law. For CATS and the MTC it is much easier to claim they have the authority they need, rather than going through the messy process of actually being granted that authority. In doing so, the public is once again deprived of participating in the discussion. As importantly, if this position stands, the Republican-led General Assembly would not have to vote on allowing CATS to use P3s for rail transit financing - bypassing an opportunity for more legislative oversight. Regardless of how you feel about rail transit in general or the proposed Red Line specifically, we should expect more from our government agencies than a game of three cardmonte using legal loopholes to get what they want. Bradford neighborhood delivers scathing public hearing comments on affordable housing implementation. We've obtained a copy of the comments delivered by the Bradford HOA president at the public hearing on the proposed planning ordinance changes. Posting.them here for anyone who wants to review. Does your neighborhood have similar issues? Regardless, it was great to see citizens being active in their community. We need more.of that. Comments begin below..
My name is Juliet Bowden, and I am here with residents of Bradford to share our concerns related the Town’s Affordable Housing Ordinance and its implementation. Our neighborhood has endured 6 years of troubled history with the Affordable Housing Ordinance, and the Town’s implementation of it. There has recently been much discussion and focus on the policy merits of providing affordable housing. And there is also much focus and discussion on the impacts of such policies on developers. However, there is rarely discussion regarding the real impact of such policies on the neighborhoods subject to the ordinance. Neighborhoods, mind you, that consist of tax-paying Davidson residents like those in Bradford who ironically have had the least voice in the matter, yet have been significantly negatively impacted. This is partly because of the stigma associated with speaking out against affordable housing. This is also because neighborhoods like ours have largely been cast aside as bystanders to business dealings between the town and the developer. Bystanders who can suffer economic damage as a result of those dealings between the town and the developer. So as not to go down that path of stigma and social misunderstandings, we would simply like to let the facts from our experience speak for themselves to hopefully inform meaningful changes to both the ordinance as well as the manner in which the Town implements the ordinance. • In early 2008 the developer started building the first of three affordable homes in Bradford up at the front of the neighborhood near the River Run entrance. • In October of that same year, Bradford residents discovered that the developer had worked with the town to revise and develop additional Affordable Housing units. • This plan entailed consolidating three adjoining single family lots and constructing there a 10 unit complex. • At the time, many of the residents who had purchased homes in the neighborhood were unaware of the material fact that more than 3 were required to be built. • Since this was drastically different from the original plan for the subdivision, residents were taken aback that no input was sought in advance of this revised proposal. • It was puzzling how just several months prior the Town had required a charrette for a proposed pool in the neighborhood, but did not seek residents’ input on significant changes to the developers Affordable Housing plan or land usage in Bradford until the residents had discovered it was in the works and pressed the issue. • As a result of pressing the issue, residents held a meeting with Town staff in which residents were invited to voice their concerns. Town Manager Lemon Brice, then Town Planner Kris Krider and Cindy Reid were present. The developer was also invited, but did not attend. Around 40 – 50 Bradford residents did attended that meeting. • At this meeting, residents brought up valid issues around building a 10 unit building in Bradford, but were instead treated with disrespect and called “NIMBYs” (not in my back yard) by the Town staff. • If there was anything constructive that came out of this episode, it was to be Bradford’ case against a 10-unit structure and building units for the lowest AMI in rural areas. Residents brought to light with the Town the significant issues such as density versus dispersal of units, access to public transportation and public services, parking issues, access for emergency vehicles and the apparent mixed messages from the Town regarding the importance of transparency and public input. The issues brought forth by residents at that meeting were dismissed by the Town and residents were told, as they have always been told, that the developer has to fulfill his obligation and it’s his legal right to do it this way. • However, Bradford just learned this year from the Town that the 10-unit building could not have been built anyway because the deed restrictions filed in 2008 broke with Bradford’s covenants which the homeowners brought to the Town’s attention back in 2009 – another interesting facet of this saga that calls into question concerns over the Town’s wherewithal to implement the ordinance. • In 2008 the Bradford developer attempted to build three homes for the Affordable Housing Program. • The first of these homes was purchased for $203,500 within the Affordable Housing Program by a family who works in Davidson. A month after moving in, a mechanics lean was placed on the property because the developer had not paid his sub-contractors. • The other two of these three affordable homes were not finished by the developer, foreclosed on, and sat unfinished with building materials laying on the property among weeds and debris until they were finished and sold in 2011 and 2012. • One of the foreclosed affordable homes was purchased by the Town in 2011 and sold to an Affordable Housing homeowner for $120,000 – although identical the home that had sold for $203,500 under the Affordable Housing Program. • The other foreclosed home was released from the Affordable Housing Program and was sold by the bank for $112,000 and is now for sale on Craig’s list for $225,000. • This was the first of a few significant Affordable Housing failures that Bradford residents suffered from. • After attempting to build three affordable homes in Bradford, coupled with the failing housing market, the developer packed up in 2010 and called it quits. Leaving the 75 residents of Bradford with a string of bills and unfinished work that required the homeowners to take up special assessments and raise dues in an effort to pay for approximately $83,000 of developer debt: $22,000 Duke Power contract, the electricity bill, the developer’s annual contribution of $11,000 per year for mowing his lots and common areas, and in 2012 Bradford Homeowners received a foreclosure notice and tax bills totaling $17,000 for the back taxes the developer owed on the common areas which coincidentally the developer deeded to us with the assistance of his attorney Rick Kline. • What do these have to do with affordable housing? 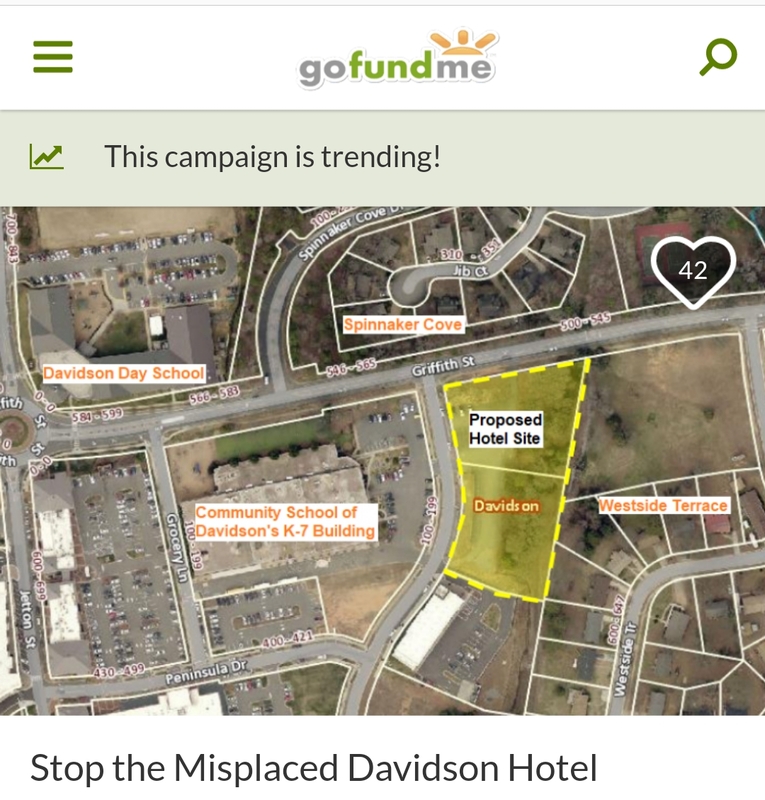 This is evidence of a ripple effect that can occur when a poorly conceived and poorly implemented ordinance places a burden on both the Town and the developer – a burden that is however born to a great extent not by the Town nor the developer, but passed on to the residents who have had little say or representation in the matters. • In addition, the Town endeavored to reduce its losses in Bradford by requiring the developer to sign an agreement to deposit $25,000 for each lot sold into an escrow account for street repairs. Once again, the Town with its attorney Mr. Kline along with the developer’s attorney Mr. Kline managed to mitigate risks for the developer and town, but passed the developer’s debt for the residents of Bradford to shoulder. What has recently come to bare once more in Bradford are the repairs to the streets that satisfy the developer’s obligation and satisfy the Town’s requirements, but ultimately residents shoulder the burden of this deal. This is just one more debacle that has left residents significantly distressed over the appearance of our streets. • Take a look at the work that was recently completed on the streets in Bradford. It reflects and underscores our statements that the Town’s implementation of its ordinances can cause additional harm to a community. We know that a one-size-fits all approach does not work as each neighborhood has different attributes that affect the feasibility of affordable housing, such as proximity to public infrastructure, developer wherewithal, etc. We know that implementation is just as important as what’s written in the ordinance. We know from experience that developers will knowingly or unknowingly pass an unfair economic burden of compliance onto residents. We know that it is unacceptable to have a continuing lack of transparency into agreements between developers and the Town and selective adherence to policies aimed at seeking citizen input, etc. Bradford residents learned a lot about the ordinance over the past 6 years and learned a lot about their own neighborhood. We know that while we may not meet the AMI housing perfectly, in the spirit of the Town’s mission and the Affordable Housing Ordinance, Bradford is the kind community that Davidson seeks to encourage with its Ordinance. We have economic diversity, ethnic diversity, single family homes, town homes, garage apartments and homes that a lot of people would consider affordable. We need relief. We’re not asking for relief for the developer. We, the residents who have been harmed the most by the administration of the Ordinance, are the ones who need the relief. We have naively assumed that a town of our size, a town where the mission statement and ordinances are written to promote the wellbeing of its citizenry, would do the hard and necessary work to ensure that its citizens are not mishandled and crushed in the process of achieving those goals. We ask for the sake of Bradford that the town stop instituting any changes to Bradford using the same attorney as the developer’s attorney as we know this to be unfair to the homeowners of Bradford. We know that our difficulties are not what was intended when these ordinances were written, but the Commissioners need to take a very hard look at not just the ordinances themselves, but how staff go about implementing them. We request that the Commissioners take a step back and give the process of creating ordinances that support the ideals of our community more time and public input. Lastly – We believe that a community that makes provisions for and cares the smallest, weakest and most vulnerable of its citizens is one worth supporting and living in. Is Davidson's mandatory affordable housing ordinance on the ropes? The affordable housing ordinance in the Town of Davidson has been taking punches from all sides recently. As one of only three mandatory affordable housing ordinances in North Carolina (the others being in Manteo an Chapel Hill), the relatively small program has withstood several controversies over the years while consuming an outsized amount of attention at Davidson Town Hall. The program currently includes just 56 for sale units and a small number of rentals. However, according to data provided by the Town earlier this year as many as a third of the for sale units have been sold to individuals who did not strictly qualify. That means the houses sold with the required deed restrictions but not necessarily to owners who were below the maximum income thresholds - somewhat limiting the program’s impact on its intended target population. - The 2007 land swap between local developer Lawrence Kimbrough and the Town in exchange for an exemption from the ordinance for his high-end development off of Pine Road. At the time, another local developer, Rodney Graham, now a Davidson Commissioner, spoke out and strongly questioned the validity of the transaction. Graham is a strong supporter of affordable housing, but his past concerns show that even supporters see potential issues with how the ordinance has been implemented. - In 2011, the Town attempted to buy two houses built for the program in the Bradford neighborhood after they went into foreclosure. The move occurred after a closed session of the Board which caused concern in the town regarding transparency. Ultimately, only one of the homes was purchased by the town, and the other was bought by a private investor. - In a lesser known event in 2012, the town stepped in to help a small number of affordable housing owners with appeals after the most recent county revaluation when their homes were valued at more than they could legally be sold for under the ordinance’s strict resale requirements. These events and others have led some to question the fairness of how the town administers the program. Those simmering questions finally boiled over recently with a lawsuit filed by two local developers questioning the validity of the ordinance under NC state law and during a public hearing Tuesday night regarding the town’s Planning Ordinance re-write which includes extensive changes to the Affordable Housing rules. What is new to this affordable housing discussion is what happened Tuesday night – public pushback from Davidson citizens. Several members of the Bradford neighborhood and it's HOA Board attended the public hearing to make clear their concerns with how the affordable housing program has affected their community. Bradford HOA President, Juliet Bowden, delivered a blistering 10 minute speech relaying the overall history of the neighborhood and the issues it has had with the Town’s continuously changing story on how affordable housing will be implemented. Much of those concerns center around the plan to consolidate program units into a 10 unit apartment building. A plan that was a surprise to neighborhood residents. One of the highlights of her speech was when she repeatedly mentioned that long-time Davidson Town Attorney, Rick Kline, has also served as the attorney for the neighborhood’s developer. “Uncomfortable” is the word that comes to mind. The shaking heads from audience members who were not Bradford residents tells you what many people thought about that situation. Ms Bowden’s comments were followed by the HOA’s Treasurer, Ron Sewell. After mentioning that some were interested in pursuing legal action to get relief for the neighborhood, Mr Sewell invoked the “Davidson Way” of talking things out as the much preferred option. He also asked for a moratorium on building affordable housing in some of the impacted neighborhoods until that can be done. Is mandatory affordable housing on the ropes in Davidson? Maybe. Maybe not. One thing for sure is that it certainly does have a fight on its hands. Full disclosure alert, I live in the Bradford neighborhood but had no involvement preparing any of the neighborhood remarks. However, we have attained a copy of the HOA President's comments. Check back later today for those. After last Tuesday, Republicans now securely hold all the levers of power in the state - election tested super majorities in both houses of the Legislature, the Governor and the Lieutenant Governor offices, both US Senate seats and 10 of 13 seats in Congress. It is becoming harder to say that NC is truly a purple state. However, all was not rosy for the GOP last Tuesday. Just before Election Day, we told you about the most important but least known races on your ballot - the races for NC Supreme Court. Unfortunately, while Republicans romped across the state and the nation, these non-partisan races went heavily for the Democrats where they one all three associate justice races and flipping the seat held by Republican Robert Hunter. As the smoke clears, it has become obvious the most likely path for Democrats to stop the conservative direction of the state comes in the courts. That will be much easier to do in coming years. In the next three election cycles only one of the more conservative justices will be on the ballot. Flipping one of those seats is all that needs to be done. Ironically, it appears that one of the voting changes pushed through by the Republican legislature may have helped cause this situation. Check out this piece over at the The Voter Update. They postulate that removing straight ticket voting contributed to the dramatic reduction in voter drop off for these non-partisan races this cycle. Only about 15% of voters skipped these races this year where 25% skipped in the past. The idea is that under straight ticket voting people thought they voted for these races when in fact they did not. By removing the straight ticket option, people took a closer look down ballot and did not skip these races as often. It also could be that the Democrats just did a better job of getting their message out about progressive judges. Over at TheDailyHaymaker.com commenters relayed stories about conservative activists that would not hand out voter guides that included the judges because of who else was on the ticket. Here locally, the County Republican party also had trouble fully staffing the polls with volunteers this cycle. Handing out the judge information is critical on election-day. Often, it is the only piece of information people will take. Without it, many voters have no idea who to vote for in these judiciary races. In a cycle where Republicans won a statewide Senate race and received a majority of the combined votes in the races for US Congress, they somehow missed out on solidifying control of the State Supreme Court. That's a mistake that could turn out to be costly. As someone who longs for transparent and honest government, it was very disappointing and hard to watch how this sales tax referendum unfolded from beginning to end. There were several troubling aspects which taken together make it feel like it was the right thing that this did not pass. Was this a process that had community buy-in from the start? No. The Chamber of Commerce and even the School Board were taken off guard when the County Commissioners decided to put the tax on the ballot in a split 5-4 vote - mostly along party lines. Was a sales tax the best way to fund CMS salaries long-term? No. It is too variable a revenue stream. What happens when the next economic downturn hits? Would those raises turn into pay cuts when sales tax revenue dips as it always does during a recession? Would the other organizations slated to receive funds from this tax face cuts to keep CMS salaries from falling? Too many outstanding questions were left unanswered. Was the tax even a guaranteed source of revenue for education? No. While supporters of the tax claimed during the course of the debate that it would always be for education, the truth is that a future Board could have redirected this money to anything. This tax revenue would have been general revenue and not legally tied to education spending. The reason the ballot question on Tuesday did not mention education was that this was not an “education” tax. Those who supported the tax were anything but clear on this fact. This last point came up at the candidate forum at River Run in Davidson. The candidates for NC House - 98 were asked whether or not they supported the tax increase. Republican John Bradford said he did not - citing this lack of a guarantee as his reason why. Democrat Natasha Marcus who supported the tax shot back that Bradford's stance was a "dodge". The truth is that Bradford was right. But maybe the hardest thing to watch was how public institutions targeted to benefit from this tax, danced right up to the line on what was legal for them to do in promoting its passage. On more than one occasion they did things which were questionable and possibly over the line while pushing for the tax. In addition to a small body of case law, there are two general statutes in North Carolina that govern what can and cannot be done by public institutions regarding elections – including referendums. One set of laws is about spending public money. The other is about “electioneering” around polling places. At some point both of these laws were bent well past their breaking point by our public institutions and officials, but since nobody will likely challenge them in court nothing will be done about it. A cynic would say our public institutions know that they will not be challenged in an expensive court case, so they have no fear of stepping out of bounds when it suits their needs. The library system and CMS created fliers that indirectly promoted passing the tax. They technically stayed within bounds and did not explicitly encourage voting for the tax. However, both fliers certainly implied bad things would happen if it did not pass. The Library was challenged on the placement of its fliers inside facilities that also served as early voting sites. To avoid running afoul of the electioneering law these were removed – a sign the library knew they were pushing the legal limits. The Arts and Science Council and the Town of Davidson went even further. They both explicitly encouraged voting for the tax in materials they created. The ASC had multiple posts on its website encouraging people to vote for the tax. Davidson Mayor John Woods was encouraging the same in the town’s latest newsletter which came out late last week just prior to election-day. It’s hard to see how the ASC’s actions do not break rules governing non-profits. The same could be said about Davidson’s use of a publicly funded newsletter to encourage passing the tax. As County officials go back to the drawing board on the question of funding education, the size of this defeat as well as the actions of these institutions need to be taken into account when deciding how to do it. Using questionable, strong-arm tactics to raise revenue has proven not to work. Maybe now it’s time for Commissioners to figure out how to live within the County’s existing means. Bonus Observation: Check out this interactive map for where the sales tax actually passed. It's telling that Davidson precinct 206 was one of the few precincts where it succeeded (just barely). Overall it, still failed for the two town precincts, but Davidson was closer as a municipality than any other in Mecklenburg County. Having the Mayor use public funds to tell everyone to go vote for something likely made the difference.